4 LED lights per rib. 32 pre-installed white LEDs provide energy-efficient lighting. Perfect protection! sun-proof, water-proof and anti-fade! More effective for UV blocking. Thicker and more durable and with better water-proof effect than other 160g/sq polyester canopies. 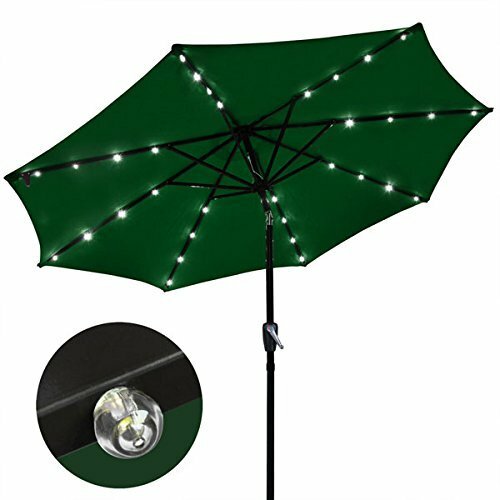 Brand New 9' Diameter Patio Solar Umbrella w/ 32 LED Lights! !